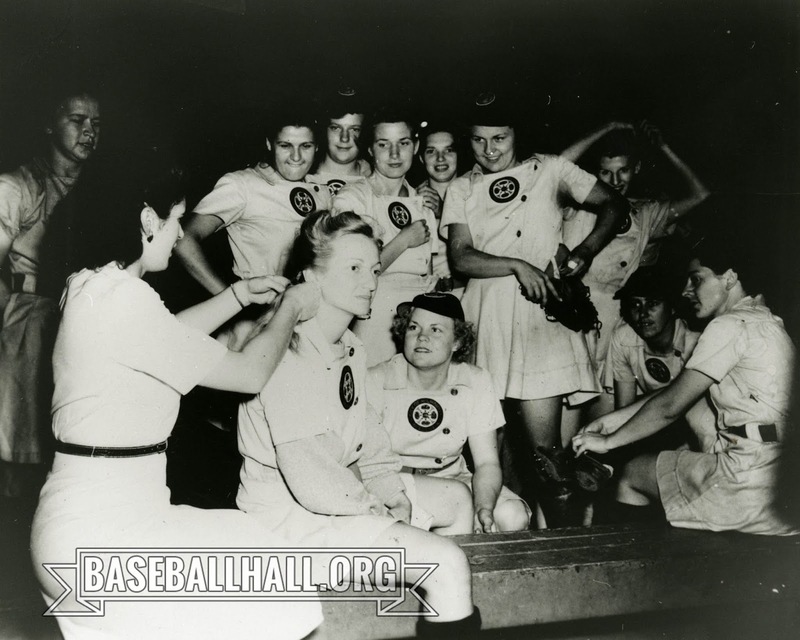 A black-and-white photograph of a group of twelve Milwaukee Chicks during pre-season training in 1944. One is sitting on a bench getting her hair done while others look on around her. This photograph comes from the Hall of Fame's collection. As posed photographs go, this one is slightly silly. The women watching affect an air of rapt attention beyond what you'd expect a little hair-braiding to earn. A shame the photographer chose not to focus on them as ballplayers, but perhaps that is instructive as well. We do get a good look at their uniforms, regardless. 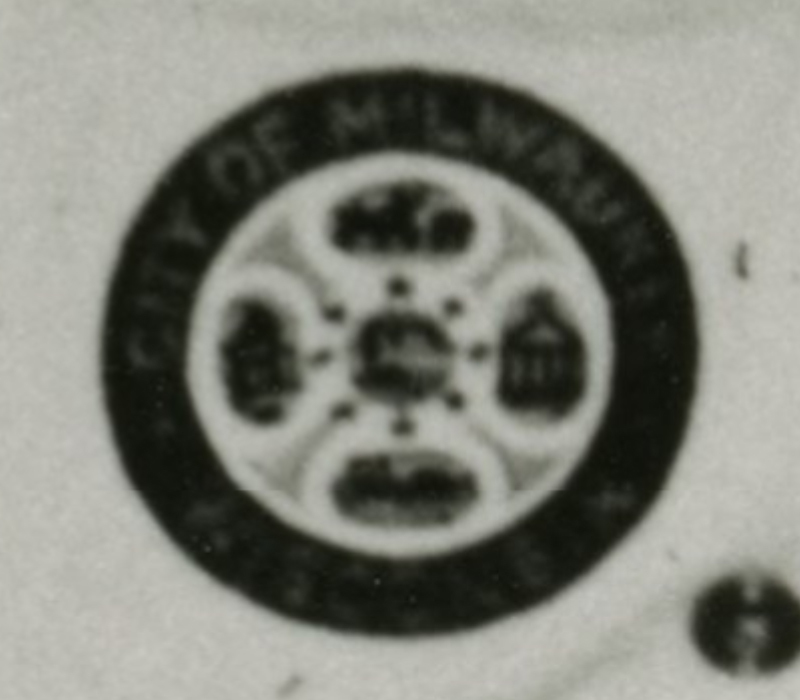 Especially the city-seal badge at the heart of the uniform. Outstanding. Looks just like our exemplar from the Milwaukee County Historical Society's exhibit. Pictures of the Milwaukee Schnitts are extremely rare, and we are grateful to the Hall of Fame for sharing this one with us.